Despite the growing trend of cutting the cord, there’s still no better way to enjoy everything television has to offer — from live sports and news to first-run shows and on-demand movies — than through a cable or satellite subscription. However, actually picking a service type and provider is easier said than done. Customers who subscribe to one or the other are often devoted to their selected option, but overall quality and satisfaction may differ depending on a variety of factors. Among the many things to consider are programming options, price, and customer support. 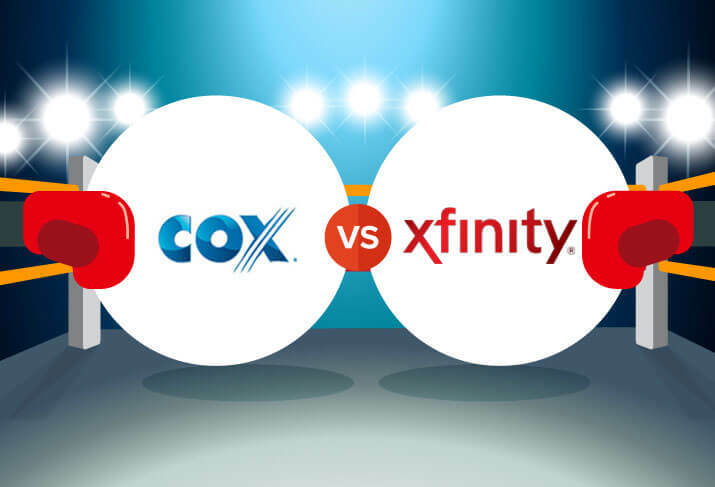 Both satellite and cable have distinct pros and cons, so some potential customers may be unsure as to which option will best meet their needs. To help those trying to make an educated decision between the two, this article will compare the services side by side. Generally, customers get more for their money from satellite TV. Satellite packages tend to come with a wider channel selection, and monthly rates are typically cheaper than cable for the number of channels. 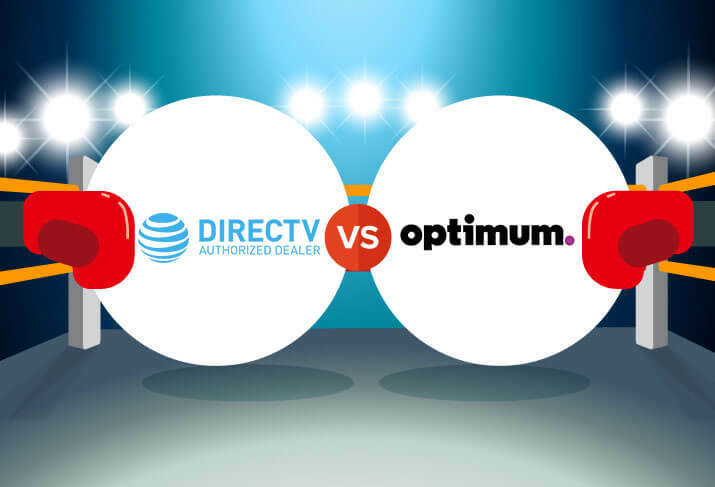 However, most satellite providers do require a contract that makes it difficult for customers to change their mind if their financial or viewing needs change over the next year or two. Consumers should also pay attention to promotional rates that expire after a specified number of months, regardless of how long the contract is. After the promotion period ends, a subscriber’s monthly cost automatically increases, and it can be even more costly to break the contract early. Another price consideration is equipment — satellite dishes and other equipment usually cost more to purchase or lease. Cable TV tends to cost more per month, but there are more options available without a contract. Basic cable packages can start at just under $30 per month. The more options and channels that are added, the more the price climbs. Some extensive cable packages can reach as much as $100 per month. Prices depend upon which providers are available in a geographic area and what technology is used. 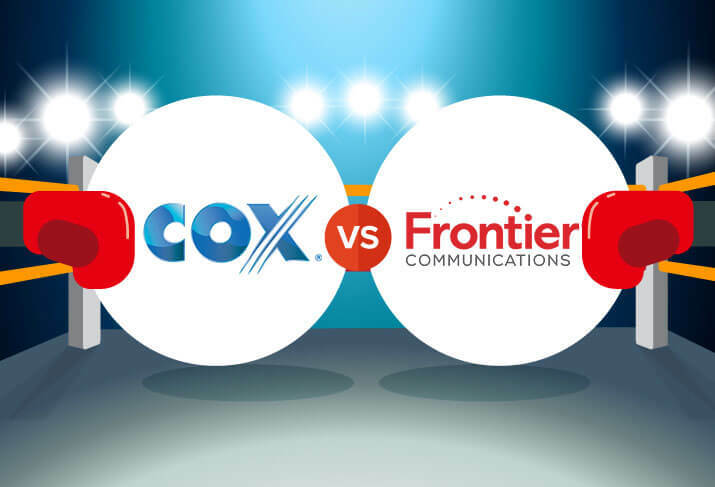 Cable companies also offer promotional pricing that may expire after a certain period of time, but customers can take advantage of deals without being tied to a contract that will automatically increase after six months or a year. In addition, cable equipment can often be self-installed, and monthly leasing fees are fairly reasonable. Deals and promotional offers vary by location. Customers should do a ZIP code search to find out what offers are available in their area. Satellite TV usually offers bigger channel lineups for less money. A basic satellite subscription may start at around 150 channels. However, one drawback to satellite is that even though plans include plenty of channels, local stations may not be available in all areas. That leaves viewers with no access to local news and sports. Premium channels like HBO® and Showtime® are available through satellite subscriptions, though usually only through a more expensive package upgrade. Cable TV typically starts out with fewer channels included in their basic lineup — 20 to 30 is standard. However, local channels are always part of the package, meaning subscribers will have an easier time keeping up on area news. Cable subscriptions also give customers the option to upgrade to more premium channel packages for a slightly higher monthly cost. When it comes to the question of installation and equipment, satellite television usually requires more hardware and higher fees. To receive a satellite signal, a satellite dish needs to be installed on the side or roof of the subscriber’s home, and it needs to have an unobstructed view of the southern sky. 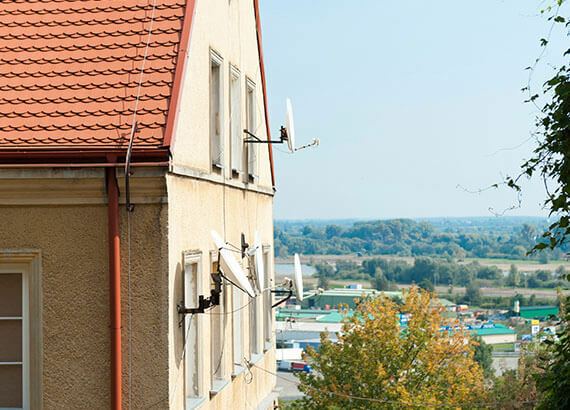 While it is possible for a subscriber to install their own satellite dish, a qualified technician will be able to install and set up the equipment faster and with less risk. If the consumer opts for a professional installation, costs will vary depending on equipment and location. According to Home Advisor, the average subscriber spends around $170 on installation, though some companies offer promotional deals that deeply discount or waive those costs. Cable TV can also require professional installation, but, depending on provider and location, it may be possible for subscribers to set up their cable themselves. Users rarely purchase equipment outright for cable TV. Instead, providers charge monthly fees to rent a receiver and any other equipment, such as a DVR or cable modem. Fees per device vary depending on the service and location, though monthly rental costs are usually less than $10. Certain cable companies may offer discounts for additional boxes. Installation fees are usually charged by the hour, with the possibility of additional fees if the home or area needs to be set up for cable access. Overall, the upfront costs for cable will generally be less than for satellite TV. It’s fairly standard for a satellite television subscription to include a contract. Most contracts range from 12 to 24 months, and they often start with an introductory price that increases after the first six months to a year. Sometimes a credit check is also required. Satellite contracts do sometimes include stipulations about fees for early termination, so subscribers should be aware of that before ending a contract before it expires. Add-ons like sports packages, movie packages, or Spanish language packages may be available for shorter contract lengths, depending on the provider. Most cable companies offer month-to-month subscriptions, but certain deals may only be available to customers who opt for a contract. Cable contracts typically last one year and usually involve a discounted or introductory rate that increases when the contract comes to an end. It is possible for customers to renegotiate their subscription if they contact their provider prior to the end of a contract or introductory rate period. Some cable services also offer limited contract add-ons, including sports packages that last for the duration of a given sports season. Satellite television is less likely to be bundled with satellite Internet, as few Satellite providers offer both services. Additionally, where it is offered, satellite Internet costs more for comparatively slow speeds, and it has a reputation for issues with latency and reliability. There have been many advances to satellite Internet technology, but users still experience some lag time that can disrupt activities like online gaming. Extreme weather can also interrupt a satellite Internet signal from time to time. Due to these complications and drawbacks, many satellite TV subscribers obtain Internet through a local cable or fiber Internet provider. It is very common for cable TV to be bundled with Internet. Bundling is appealing to customers because it offers service discounts and simplified billing processes. Many subscribers enjoy dealing with just one company for both television and Internet services. As an added bonus, many cable companies offer Wi-Fi hotspots throughout the country, giving cable Internet subscribers easy access to network connectivity while away from home. Cable Internet is also available a la carte, and its fast speeds and reliability have made it a popular choice among consumers. Bundle prices and options are usually offered regionally, so the best way to learn what is available is to do a search that pinpoints packages in a specific ZIP code. It’s no secret that satellite television has a reputation for being unreliable. Because the signal relies on unobstructed access to the southern sky, several factors can disrupt or disable the connection between the dish and the satellite. Severe weather is one of the biggest culprits — heavy thunderstorms and snow can obscure the signal and leave customers without television for the duration of the storm. Over the years, satellite providers have worked to mitigate the effects of weather, but while reliability has improved overall, weather outages are still a common occurrence. Other natural and man-made obstructions like trees, walls, and buildings can also pose challenges to satellite reception. To get a strong, consistent signal, the satellite dish should be placed in a location without any interference. Depending on the subscriber’s location, that can become challenging, though some issues can be resolved by making adjustments to the angle of the dish. Cable TV signals have fewer reliability issues than satellite. Unless cable lines go down or the entire systems suffers a malfunction, cable TV rarely loses reception. Most cable disruption issues are due to equipment problems or the need to reboot the signal. Cable subscribers are typically able to resolve picture or signal issues with a simple call to their provider. Sometimes a set-top box or modem may need to be updated or replaced, but by and large, cable signals tend to be consistent and suffer minimal disruption. Consumers report relatively high satisfaction with satellite television services. In the 2015 TV Customer Satisfaction Industry Survey done by CableTV.com, the two major satellite providers were consistently ranked above major cable providers across multiple categories. This high customer satisfaction stems from a wide range of factors, including ease of installation, signal reliability, customer service, channel selection, and monthly price. Satellite providers have established and maintained a strong reputation for meeting customer expectations and delivering services as promised. Overall customer satisfaction for cable TV was ranked below satellite satisfaction in the CableTV.com study, a trend that matches the findings from the J.D. Power 2014 U.S. Residential Television Service Provider Satisfaction Study one year earlier. Some cable companies have struggled more than others with their customer service reputation. Factors that contribute to dissatisfaction have centered on customer service response time and pricing. However, customer service initiatives, increased Internet speeds, and improved reliability are helping cable providers to turn the tide. Satellite television is widely available. As long as the dish has an unfettered view of the southern sky, it can receive and transmit a signal. This has been a boon for consumers who live in rural areas or other remote locations. Even RV enthusiasts are able to receive television signals far from the lights of a city with the help of a satellite antenna. Cable TV is also widely available, though not to the same extent as satellite TV services. To receive cable, a home or building has to be in an area that has access to a cable provider coaxial lines. Because cable television is dependent on these cables being run to homes or through nearby distribution lines on utility poles, availability can be limited by the current infrastructure. Getting access to cable lines isn’t usually a problem in most metropolitan areas, but it can be problematic for new developments and rural locations where lines haven’t been run. As for mobile access, many cable companies have developed apps that allow their customers to access live streams and recorded content based on the subscriber’s channel package. Selecting the right service type and provider is an important decision. Thoroughly researching the advantages and disadvantages of satellite versus cable television is a key component to making a decision that meets subscriber needs and preferences. Consumers can find out which providers are in their area by entering their ZIP code into a handy online tool.